‘The facility is home to the world’s largest and most powerful particle accelerator, known as the Large Hadron Collider.Its aim is to allow physicists to test the predictions of different theories of particle physics. It first started up on 10 September 2008 and was built over a decade by over 10,000 scientists and engineers from over 100 different countries. In the clip, there appears to be at least eight figures standing in the shadows, before one man moves into the centre of the group. Moments later, a woman wearing a white dress enters and kneels on the stone floor. The woman the seems to lie down on the ground before a man in a cloak approaches her with his hands raised above his head. Viewers of the footage speculate the man is holding a knife which he appears to plunge into the woman’s chest before the clip suddenly cuts off. 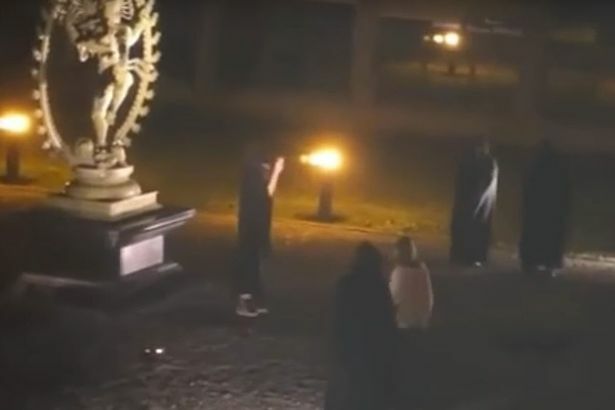 In the background, a man recording the mysterious ritual – who also appears to be wearing a cloak – can be heard swearing loudly as he watches the horrifying scene. 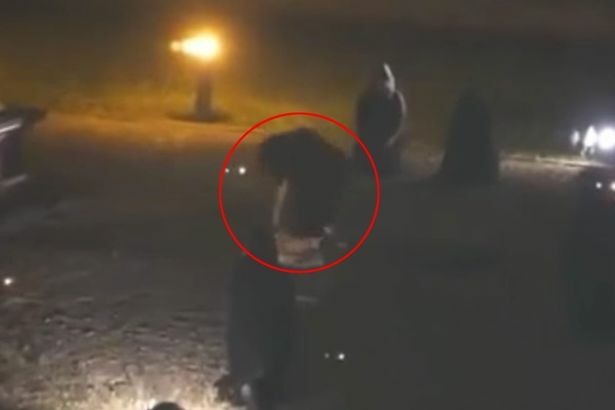 The video was uploaded to YouTube by ‘Richie from Boston’ who wrote: “This is new footage caught on the grounds of CERN, videotaped from inside the building. “If it’s real, that’s horrible, if it’s a staged ritual, that’s equally bad.